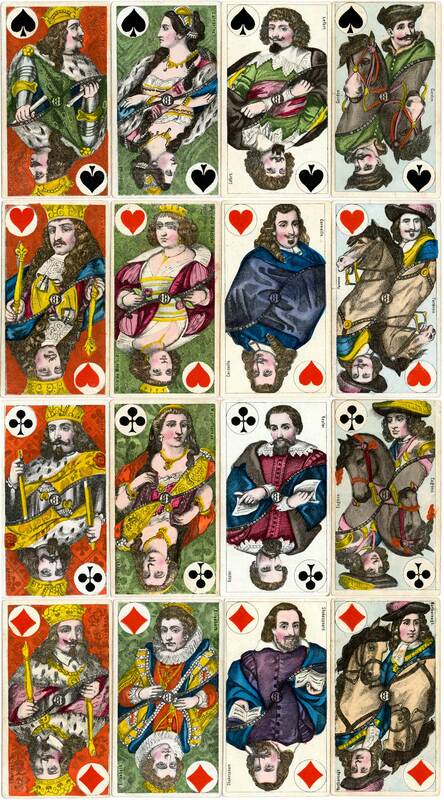 French-suited tarot cards manufactured by B. Dondorf (1833-1933), Frankfurt am Main, early version c.1870 : clubs depict Germany, Spades Russia, Hearts represent France and Diamonds depict England. 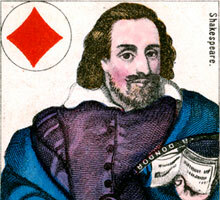 For example, in the uncut, uncoloured proof sheet shown below, the first Ace in the top row (hearts) depicts the Louvre and Versailles; the first cavalier in the second row (diamonds) is titled "Marlborough", whilst the Jack of diamonds (holding an open book) is titled "Shakespeare", and so on. The musical harlequin is "L'Excuse" (The Fool). 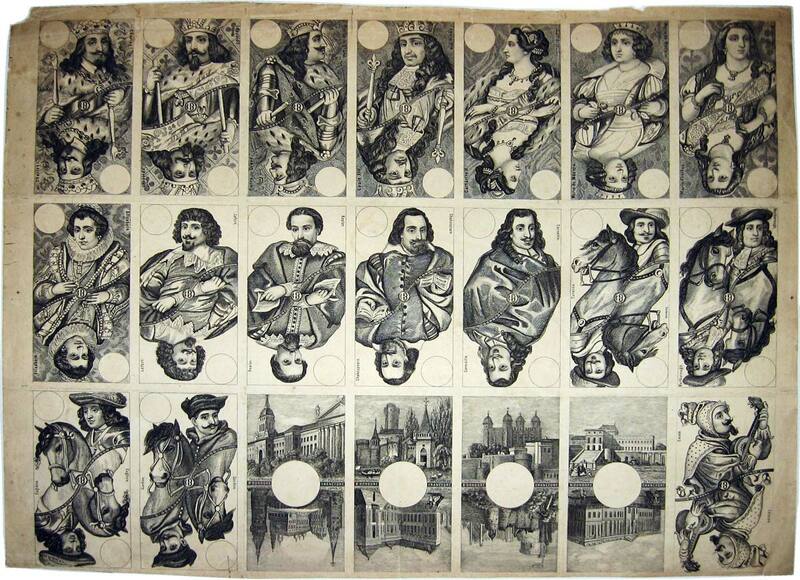 Above: uncut sheet of "Tarot Microscopique" by B. Dondorf, c.1870. Lithographic printing from fine engravings, uncoloured. The complete deck contained 78 cards. Above: Dondorf's Tarot, early version from c.1870. Images courtesy Barney Townshend.